Continental Regional Center, LLC (CRC) is proud to announce that Al Rattan, President of CRC, was elected to Invest in the USA’s (IIUSA) Board of Directors during its 13th Annual Membership Meeting in Washington, D.C. on Monday, April 23, 2018. This election is a testament to Al’s thought leadership within the EB-5 industry and the strong track record CRC has maintained over the years. “It’s an honor to have been chosen by my EB-5 industry peers to represent them on the IIUSA Board of Directors. I look forward to working with IIUSA to keep the EB-5 industry moving forward,” Rattan said. Consequently, IIUSA re-elected the three executive officers (President, Vice President, and Secretary-Treasurer) and two members of the Board of Directors, while also adding three new boards members. 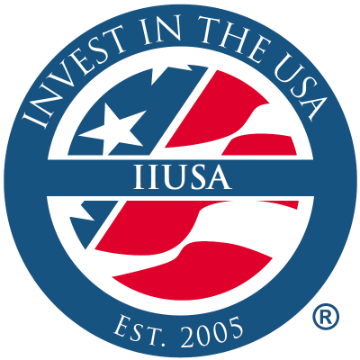 IIUSA’s Board of Directors oversees the management and control of the association’s affairs and property in accordance with the limitations and purposes stated in the Certificate of Incorporation. Additionally, Al has been a member of IIUSA since 2011 and believes in the association’s work in creating opportunities for affordable financing for economic development projects through the country. As a member of the IIUSA’s Board of Directors, Mr. Rattan has the opportunity to help create the vision for IIUSA during the uncertain times we face in the industry.